I was pretty excited when Reace turned up with Dead of Winter. This game has been getting a lot of buzz recently and I've been wanting to play it for a while. Dan and I both jumped at the chance but it looked like we were the only people that had brought games this week. Luckily Johnny turned up at his standard five minutes late time and offered (there was no forcing) to run a game of Small World, again playing with Dan's expansions. Dead of Winter has some of the nicest artwork I've seen on any game but would the gameplay live up to it? I was worried the game might play you instead of the other way round. As it turned out there were plenty of important choices, many of which we made totally incorrectly. 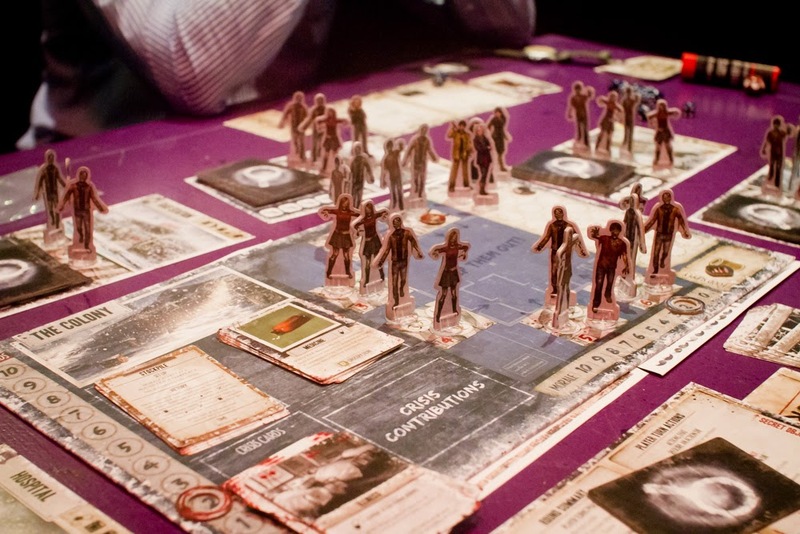 Our scenario started off with the colony full of zombies. We passed the first couple of events and we even managed to raise moral. Things were looking good and I was secretly pleased that I'd completed my personal goal in the first turn. However we were less lucky on the third event, we failed miserably and the colony and locations became overrun by zombies. Many of our characters died and, although they were replaced by new characters, we were unable to recover and our moral soon dropped all the way to zero. 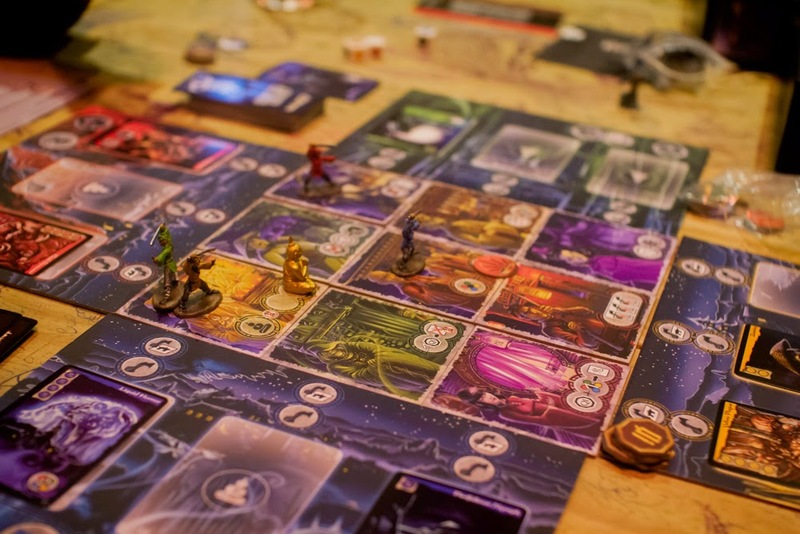 After Small World the others played Ghost Stories. I think for most of the players it was their first time so it's no surprise that they lost to the unforgiving game. I was coerced into a game of Cosmic Encounter. I've not really enjoyed this game in the past. This time I enjoyed it a little more, but still not that much. It's such a well liked game and I try so hard to like it but it just ends up that I don't really get it. To my luck we were running late and Cult was closing. We had to cut the game short with Ryan in the lead, claiming victory. Same time next week, board game fans.